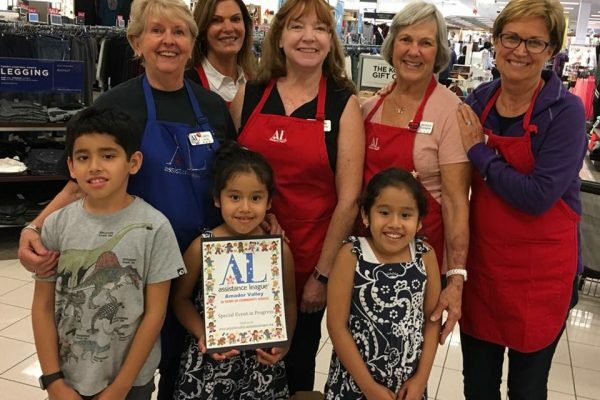 Assistance League Sites > Assistance League - Amador Valley > Events > Operation School Bell Begins! 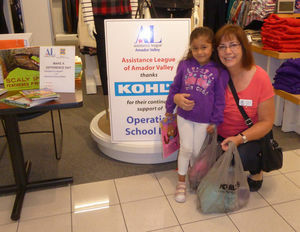 At the local Kohl’s store, 60 volunteers had the privilege of shopping with youngsters individually. Each child was able to walk through the store with a volunteer to select his or her own clothes for Fall school year, totaling over $100. With new clothes in hand, their pride soars and often leads to doing better in school. Kids are fun to watch, their eyes light up when they see the right choice for them, and they say things like “Can I really buy this jacket?” or “You mean I can have a pink blouse?”. 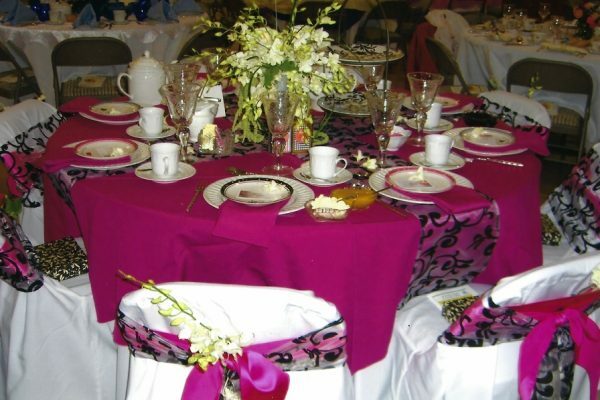 “The experience is rewarding…seeing the happiness it brings to children. The tears, the smiles…It’s wonderful!” said Nancy Carter, co-chair of Operation School Bell® that helps families that are struggling to make ends meet.